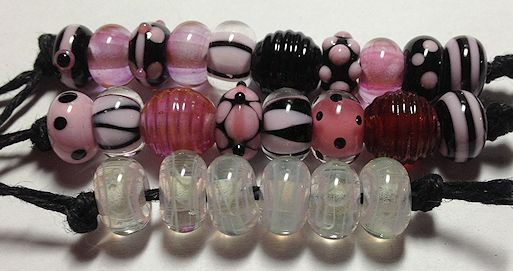 I made some pink and black beads last night, along with some pink and green veiled cane spacers. 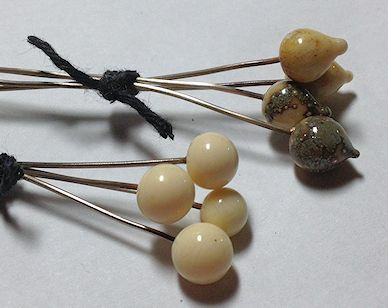 Got a couple sets of head pins done too. The wires have been on my work bench for a while and keep moving around. Finally got a chance to get them off my bench.